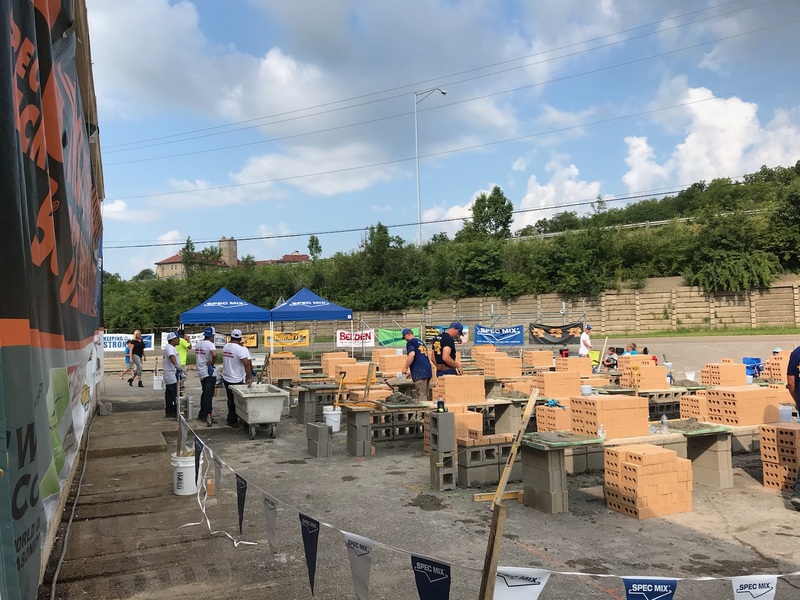 CINCINNATI – THE SPEC MIX BRICKLAYER 500® OHIO REGIONAL WAS A SUCCESS! BRICK MASON COLE STAMPER AND TENDER FOREST STAMPER QUALIFIED TO COMPETE AT THE WORLD CHAMPIONSHIP IN LAS VEGAS! 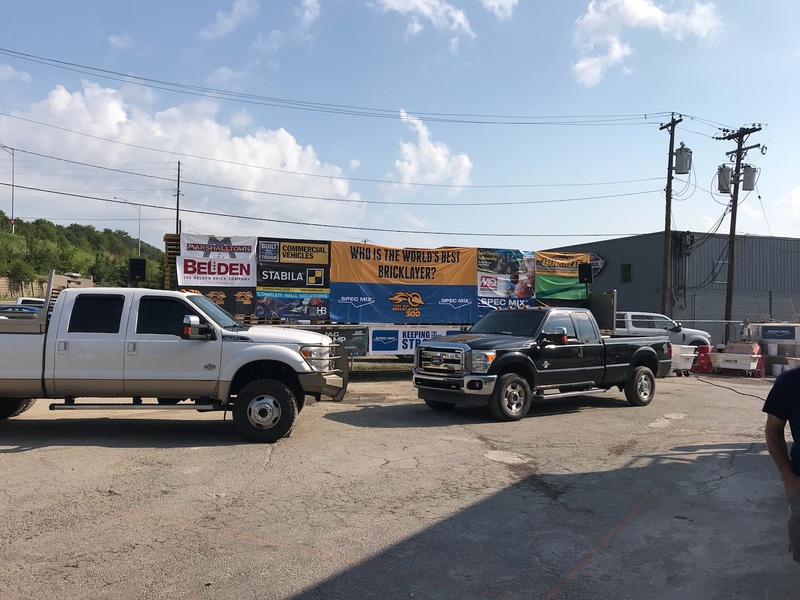 The Ohio SPEC MIX BRICKLAYER 500® Regional competition was held at Smart Building Supply in Cincinnati, Ohio, on Saturday, August 4, 2018 at 10am. 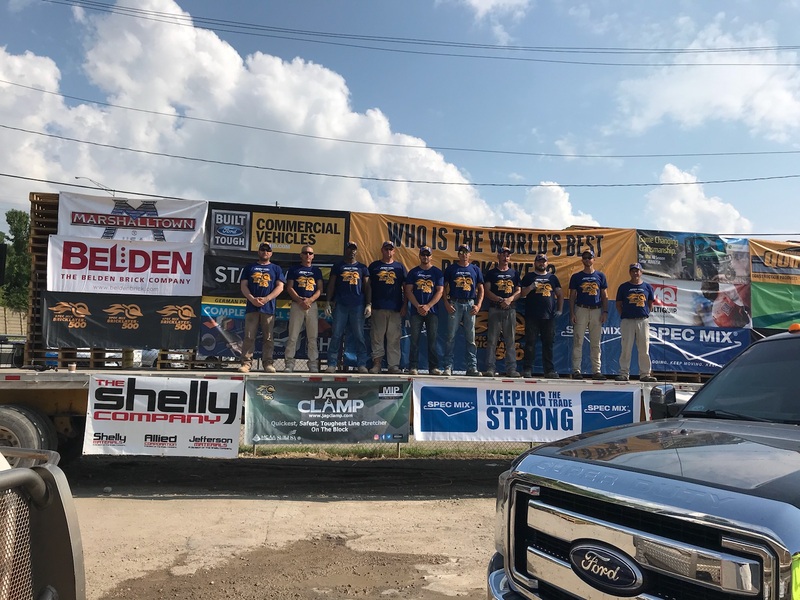 Bricklayers and Masons representing the state of Ohio battled for a chance to advance to the World Championship competition held on Wednesday, January 23, 2019, at the World of Concrete in Las Vegas, Nevada. 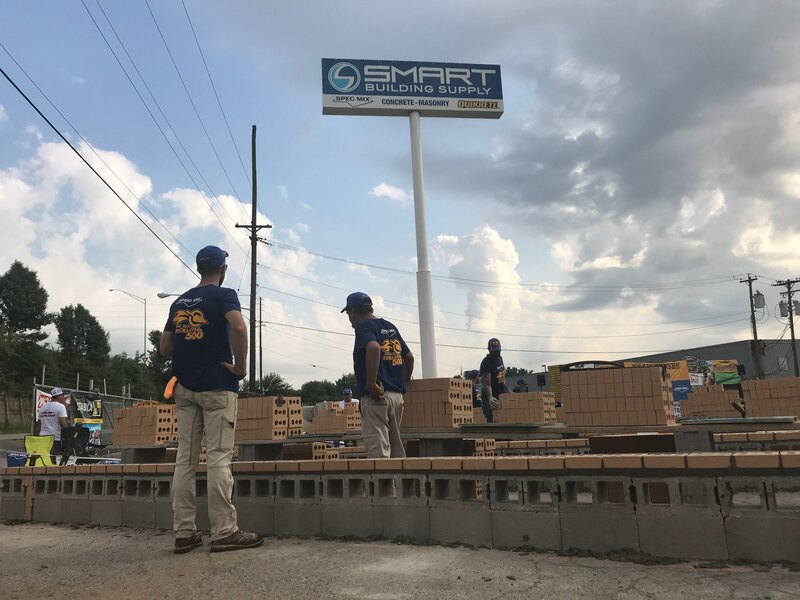 8 teams of brick masons and tenders gave it their best shot in Ohio. 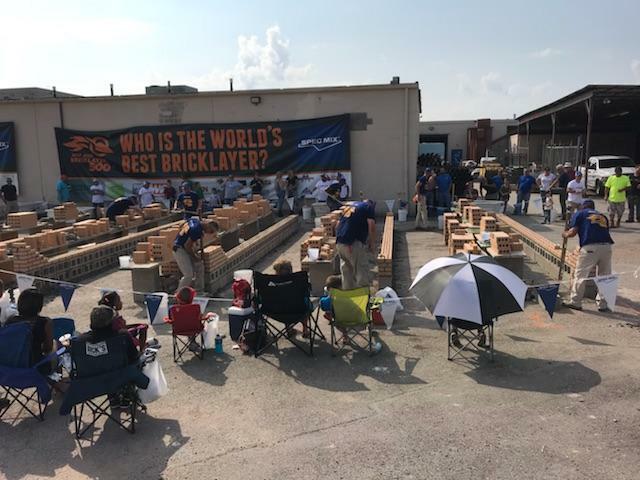 Cole Stamper of Mason Structure in Lexington, KY, along with his mason tender Forest Stamper were up for the challenge and took home first place with a brick count of 612. 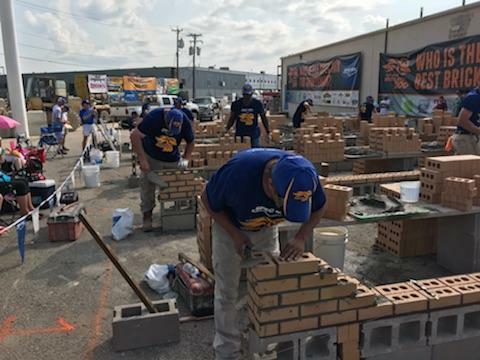 The newly minted champions received $600, a Marshalltown trophy and bag, a Stabila 4-foot level, the title “Ohio’s Best Bricklayer,” and a free trip to Las Vegas to compete for the grand prize. Stamper was also crowned SPEC MIX TOP CRAFTSMAN, an award given to the mason who created the most “sellable wall,” receiving an additional $550. 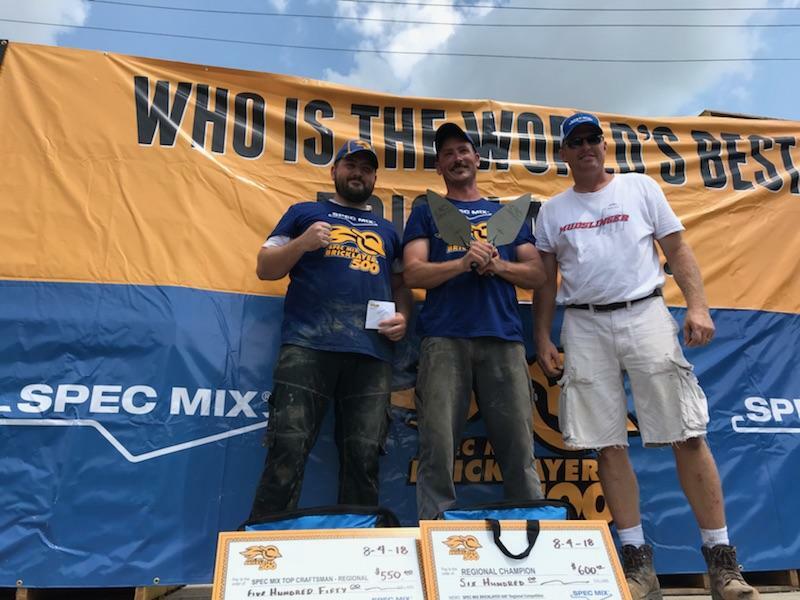 Second place went to mason Bob Crawlman and his mason tender Preston Kirby of Miter Masonry in Cincinnati, Ohio with an adjusted brick count of 367, taking home a prize of $500. 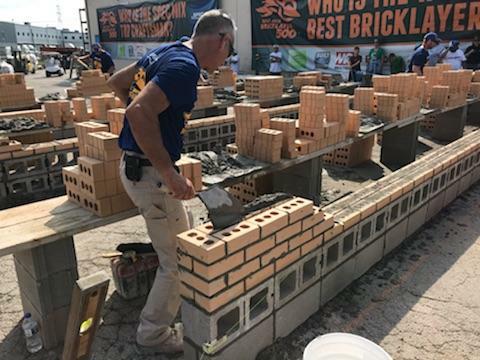 Third place went to mason Tony Vaux and his mason tender Charlie Cheatham of United Masonry in Cleveland, Ohio with an adjusted brick count of 367 brick taking home a prize of $500. The overall turnout was great, with over 100 spectators looking on to see Cole Stamper run away with the competition. Door prizes included a TV, $150 in cash prizes, and various door prizes provided by SPEC MIX and the local sponsors.